Record and duplicate CDs or DVDs remotely over a local network using Microboards' Networkable CopyWriter Pro Series, featuring CD/DVD models and Blu-ray/CD/DVD models. The ability to connect to any PC within a given network offers convenience and security for office environments of all sizes, and also allows the person setting up a job to be remotely located from the CopyWriter duplicator. 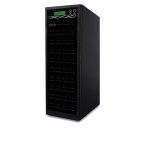 This allows a company to keep any quantity of manual tower duplicators in a safe optimal environment where users can transfer files directly onto the duplicator’s internal hard drive. Plus, the network feature allows the storage of the duplicator in a secure environment, where only authorized personnel can access it, preventing general employees from being able to make copies of unauthorized, sensitive, or confidential files. 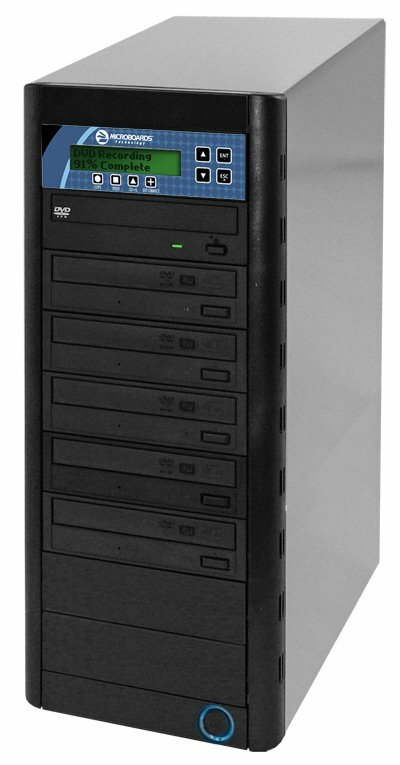 Burn CD-Rs, DVD-Rs, or Blu-ray Discs one at a time or by the thousands with the Networkable CopyWriter Pro Series. Burn at blazing speeds using virtually any format of recordable media. Connect the CopyWriter Pro to your office network and access the built-in hard disk drive to store multiple master disc images from anywhere on your network. 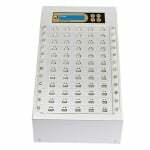 The intuitive 8-button panel and multi-line display make copying discs easy for the novice user. All the while, the CopyWriter Pro maintains high-end, power-user features demanded by the professionals, like disc verification mode and multi-user account maintenance.